The Chi-Athlete: Questions About Running? I started running several years ago, after an entire life of "I hate running!". I was lucky enough to have sought my moments of peace and solitude through the iron, kickboxing, and sports prior to finding it out on the trails and pavement. I started off with the ever popular Couch-to-5K running program (which allowed me to skip a few weeks), and I didn't want to stop after 5K. I didn't know many things about running. 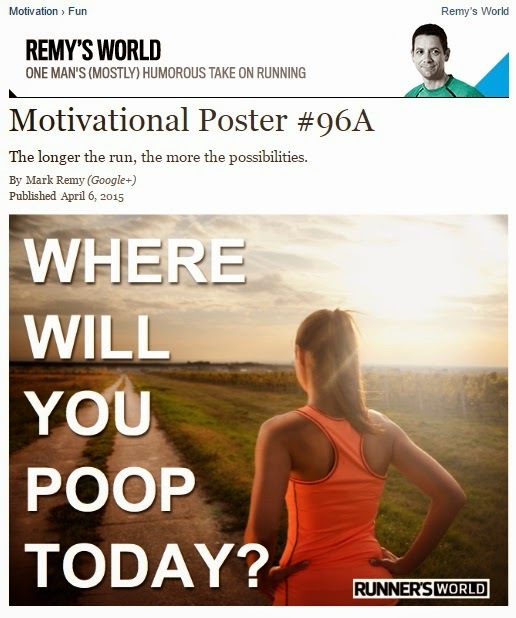 What I did know is that it was tough, it could make you the happiest person alive or the most aggravated soul on the planet, and that I had seen pictures of marathon runners poo'ing themselves. (Don't Google that.) I started asking several runner friends severely obnoxious questions. "How do I breathe while I run?" "What if I need to blow my nose while on the treadmill?" "How do I lace my shoes?" "How far should I go?" "How do I run at night?" "What should I do if I get thirsty?" "What to eat before I run?" "How should I do strength training?" -- Specifically what days I train legs in regards to days when I do speedwork or just an easy run. Times were tough with so many question marks. So many hours reading, Googling, bothering asking friends, and it all came down to me with my own routine, my own ways of dealing with things, and my own runs. No matter what, no matter the advice you take, you will eventually make it yours and it will work for you. So never be afraid to ASK -- no question is wrong! Your brain hug for today -- For serious, one of my running questions, past, present, and future. Thanks to Mark Remy for always knowing the direct line to my funny bone. Did/Do you watch X-Files? ARE YOU STOKED about the Reboot? Runner friends: Do you remember any questions you had when you first started running? Is anyone doing anything fun and Spring-y this week or weekend? I loved the thunderstorms today, but I'm really looking forward to sunshine.